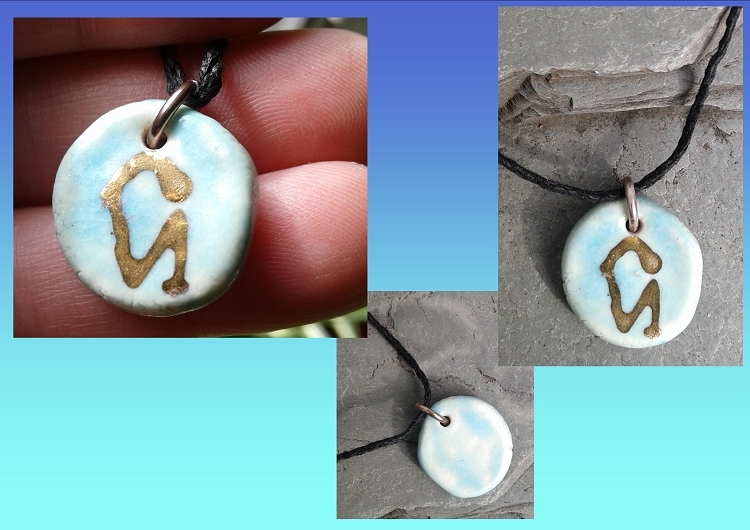 Beautiful divine sacred amulet created from fine porcelain clay with genuine gold highlights. 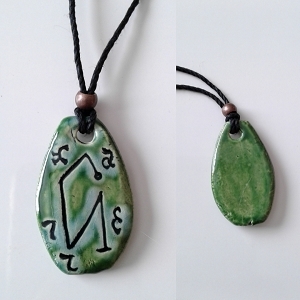 I created this pendant, carved it with Archangel Uriel's ancient Sigil, fired, glazed and fired once again. 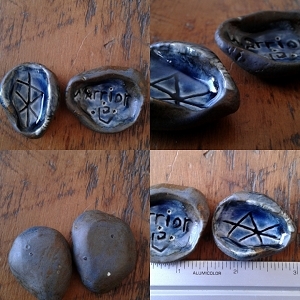 I then glazed the symbol with genuine gold and fired it for a final time in the kiln! 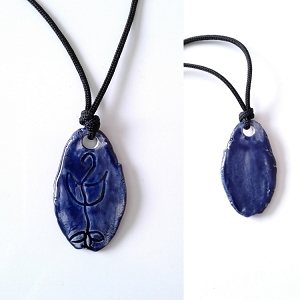 Threaded onto an adjustable 1mm thick black hemp cord. 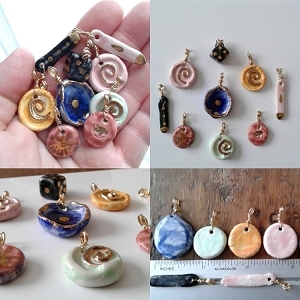 The pendant measures a little over 5/8" in diameter by 1/8" thick ( 13mm x 4mm).